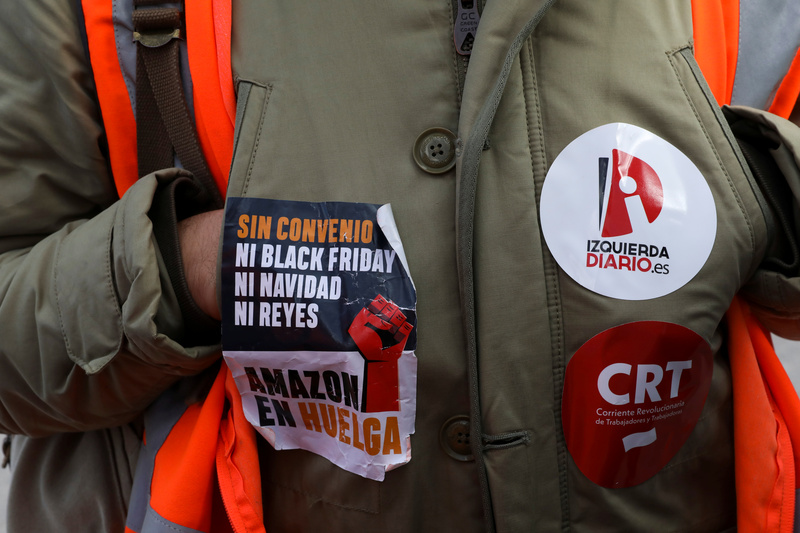 Thousands of Amazon workers in Spain, Italy, Germany and France are spending Black Friday on strike to protest warehouse labor conditions, leaving loading docks almost empty and managers packing boxes on a busy shopping day. An estimated 2,400 Amazon employees went on strike in Europe, according to trade union UNI Global, but numbers may be even higher than the labor organization anticipated, reported Business Insider. Off-duty Amazon employees are demonstrating in the United Kingdom, too, reported Business Insider. Trade organization GMB created a “We are not robots” campaign and published a video of Amazon staff saying the phrase in five languages. 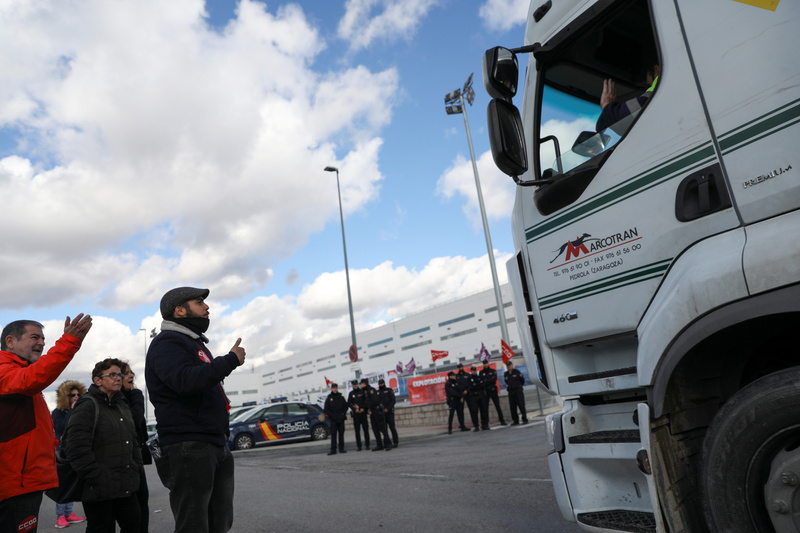 “Inhuman” warehouse conditions sparked protests in the U.K., GMB said according to Business Insider. 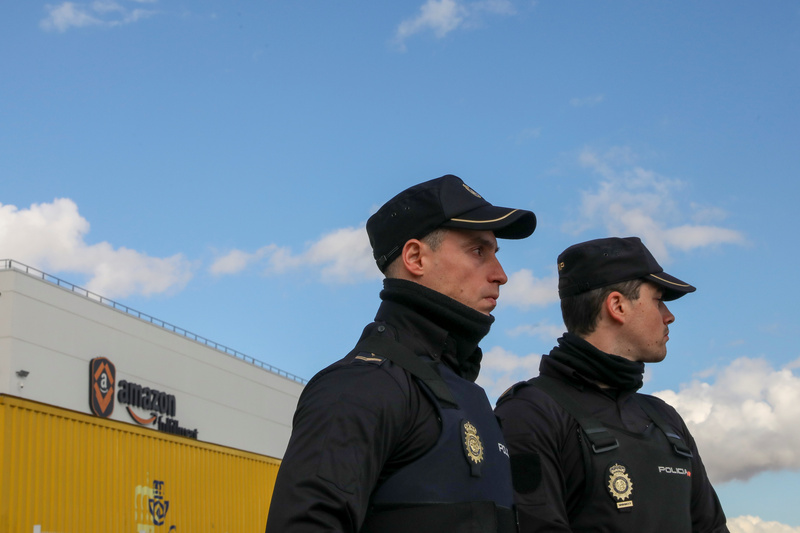 “[Black Friday] is one of the days that Amazon has most sales, and these are days when we can hurt more and make ourselves be heard because the company has not listened to us and does not want to reach any agreement,” Eduardo Hernandez, an Amazon employee of five years, told The Associated Press while striking in Spain. Black Friday is thought of as a typically American shopping event, but the almost-holiday has been growing in Europe. It is the “busiest shopping day before Christmas” in the U.K., according to the Daily Mail. All of our sites are safe places to work and reports to the contrary are simply wrong. According to the UK Government’s Health and Safety Executive, Amazon has over 40 percent fewer injuries on average than other transportation and warehousing companies in the UK. We encourage everyone to compare our pay, benefits, and working conditions to others and come see for yourself on one of the public tours we offer every day at our centers across the UK. Amazon workers in the U.S. have also complained of poor working conditions, like 15 to 20 minute lunch breaks for a more than 10-hour work day. Amazon dominated the news in November after the company officially announced it will be spending more than $5 billion to split its new headquarters between two locations in New York and northern Virginia.